Nurturing and inspiring the human spirit—one home at a time. A comfortable and beautiful house is vital to your well-being. A home provides something deeper. It nurtures and inspires your soul. I work with my clients to make the blueprint of their true natures the basis for creating living places filled with comfort, meaning and delight. Such a home nurtures you deeply and weaves your life into the harmonies of nature. It supports the patterns of thought and emotion that shape who you are and what you do. A home designed from the core of your being honors what brings you peace and makes you come alive. It encourages the unfolding of your human journey. If the outer design of where you live doesn’t reflect the inner design of who you are, the most beautiful house in the world won’t provide a satisfying home. 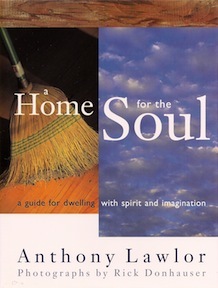 I wrote the book on creating a home for your soul and offer three types of services for remodeling your existing house or building a new one: full architectural services, design consulting and online design. Contact me to discuss how we can create the home you have always wanted, one that nourishes and inspires your soul.